Mahalaxmi Flexible Packaging established in 2000 With a highly dedicated & skilled team on board backed with the support of the absolute latest technology. We are a leading manufacturer of high quality packaging products for Restaurant, QSR ,fast food, Bakeries and Sweet shops using our world class machines. We rated leading Customer Satisfaction Survey to our valuable customers. Widely appreciated by our customers, these products are provided by our experienced team members who are perfect in this field. Our prices are affordable and our Customer Satisfaction Survey Services are outstanding. Currently we stand as an established & fairly renowned brand in the industry of Plastic & Paper where we believe innovation is the future. Armed with intuitive business acumen supported by a thorough research on potential and future markets, we conceptualize and create products high on quality and also visually appealing. 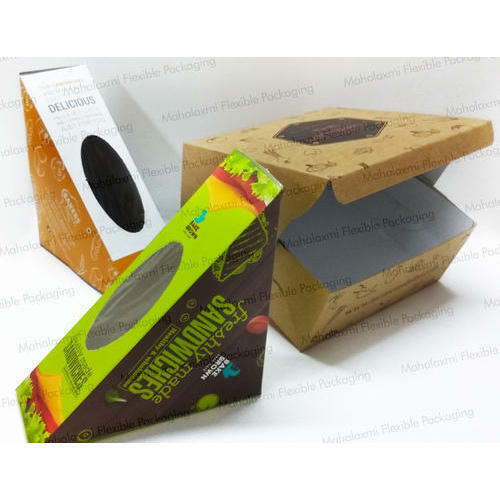 Mahalaxmi Flexible Packaging, unlike most in our industry is equipped with an research & development division, compromising of experts in the field who constantly improvise and upgrade our product offering and technology assistance. This set up allows the Marketing and Design team to fully focus on creating & developing top of the line designs and giving innovation priority.